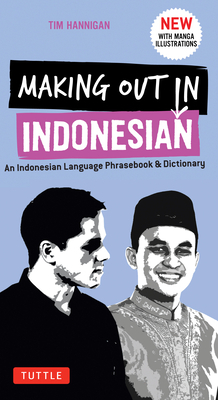 Making Out in Indonesian Phrasebook & Dictionary is a fun and accessible guide to Indonesian as it's spoken in real life. Freshly written by Tim Hannigan--whose features and travel articles appear regularly in newspapers and magazines in Indonesia and beyond--this is your guide to modern spoken Indonesian. Experience the language as it is used in everyday interactions today, including many colorful, catchy expressions, Jakarta slang, and informal phrases not found in traditional Indonesian language materials. Whether you're planning to study abroad in Indonesia, or are just looking for an authentic travel experience, this fun resource will turn you into a local in no time. Tim Hannigan is the editor of A Brief History of Bali and author of A Brief History of Indonesia, Murder in the Hindu Kush, and Raffles and the British Invasion of Java, winner of the 2013 John Brooks Award. His features and travel articles appear regularly in newspapers and magazines in Indonesia and beyond.